I need all the help I can get when I play golf so walking onto the first tee wearing the Garmin Approach S6 GPS watch gave me a little confidence boost. 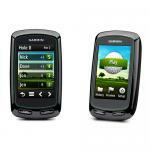 The Approach S6 has a circular touchscreen display as well as four physical buttons. 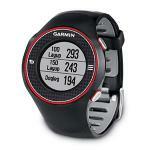 It is no bigger than a regular sportswatch but still has more than 30,000 international courses preloaded. But the Approach S6 is not just about distances and what you do on the course. There are also training features to help your swing – TempoTraining and SwingStrength. And with the device strapped to your wrist it’s in the perfect place to give you accurate feedback about your swing. I found these really helpful because the two biggest faults with my swing are my fast downswing and the fact that I try and hit the ball too hard. TempoTraining conveys the 3:1 backswing to downswing times with tones to help keep you in some kind of rhythm. This helped me immensely because my fast downswing usually meant my grip changes and the club head often opens up as well. SwingStrength also played into this nicely and helped me find some consistency when I was hitting practice balls at the driving range. Again trying to smash the ball resulted in a number of inconsistent swings and lots of wayward shots. But now it was time to play – and we weren’t playing on any old course. It was The Lakes in Sydney – one of the most prestigious, and most testing, courses in Australia. Before I headed out to play I tapped the touchscreen on the Approach S6 and hit “Start Round”. From here it started locating the GPS satellites and after a minute or so The Lake Golf Club appeared as a selection on the display. Our round was starting on the back nine – the hardest part of the course with lots of water carries – and by the time we arrived at the tee box the information about the 10th hole was already displayed on the S6 screen. My tee shot sailed up the left side of the fairway and into the rough and by the time I was standing over the ball again the distance to the hole displayed on S6 had changed once again. A tap on the CourseView button on the side of the S6 gave me a top-down look at the hole to see what was in front of me. The hole doglegs to the left and that was clearly visible on the screen even in the mid-morning brightness. Not only could I see the layout of the hole I could also see there was a bunker on the far side of the green just waiting to swallow up my ball. But I had another problem – I couldn’t see the green let alone the pin. 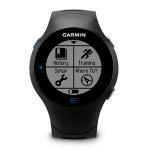 With the Garmin Approach S6 on my wrist that was no longer an issue with the handy PinPointer feature. This helps with blind shots and can not only tell you the direction to the hole but also list the distance inside the red circle. Now I knew the direction to the hole and how far it was to the hole. With that information I knew what club I would need to get there. Without the S6 I would have had to walk ahead, spot the hole, remember some sort of target and then try and work out the right club to use. And often I misjudge the distance thinking it’s a lot further than it actually is. This miscalculation often results in my next shot going over the back of the green. Green View also allowed me to see the shape of the green and location of the hole. And when I was close enough to see the actual pin placement I could easily touch and move it to match that day’s position. For non-golfers – yes, the green keepers change the position of the hole on every green every day. The secret to a good round of golf is making the right decisions. Do I try and hit past the hazard or do I lay up? If there’s one thing I know about golf is that the game can reward your bravery one day and punish you severely the next. 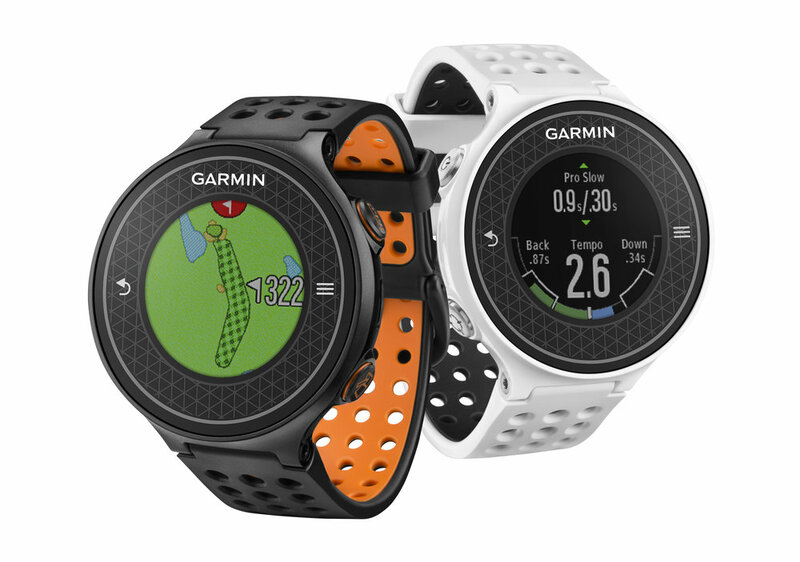 With the Garmin Approach S6 the information that can be toggled on the screen is not only the distance to the hole but also layup distances so you know how far you need to go to be 150m, 200m and 250m out from the hole. You can even tell how far it is to a dogleg, to a bunker or anywhere on the hole when you touch on the overhead map view on the S6 screen. Now there are times when I do connect with a shot and love the feeling of watching it sail off down the middle of the fairway. I nailed my tee shot with a four iron on the 12th and with the measurement tool on the Approach S6 I was able to find out the distance of the shot. I simply pressed the top right button on the device – there’s a picture of a tape measure on it – and the S6 started measuring from where I started and then by the time I got to my ball it read 192m. So if you want bragging rights in the clubhouse for your monster tee shots, it’s a good idea to use this to see who really outdrove who. 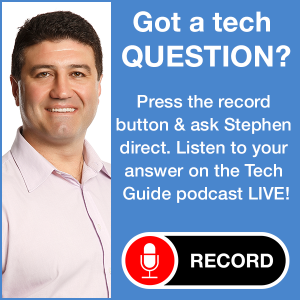 What was also handy about the Approach S6 was the ability to link my iPhone to the device via Bluetooth to receive notifications like emails, text messages and calls. We were playing on a weekday so everyone assumes you’re sitting behind your desk and not in the middle of a golf course. But this feature did alert me to a couple of urgent emails I had to reply to and one call I had to return right away. 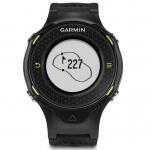 The Approach S6 also makes it easy to keep track of your round. When you walk off the green the watch’s screen changes to show the hole’s par and a minus and plus key to enter the number of strokes you had. Unfortunately we didn’t hit the minus key once but hit the plus button quite often. And if you wanted to dive even further into your stats you can also take note of the number of fairways hit, greens in regulation and putts per round. Players can later upload all of this information to the Garmin Connect site to keep track of their rounds and access a printable scorecard. 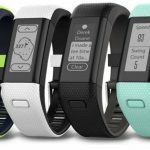 The device was easy to use and, being on your wrist, viewing the important information you need is right there whenever you need it. Our only fault with the Approach S6 was the touchscreen which was a little temperamental at times. The scroll speed of the display was a little slow sometimes and we selected the wrong option as a result. But we only found this as an issue when scrolling long menus. Out on the course it worked just fine. Battery life is listed at 10 hours when in full GPS mode so that’s enough for a full weekend of golf. When used in regular watch mode the battery will last for weeks before you need to charge it again. 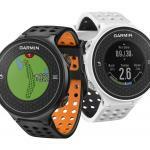 The Garmin Approach S6 Golf GPS watch is available in black and white and is a handy tool for golfers that’s like having your very own caddy on your wrist. It’s not cheap but think of it as an extra club in your bag. It can help you shoot the best scores of your life – and true golfers would pay hundreds of dollars to do that without blinking.